Digital Enhanced Cordless Telecommunications (DECT) is an industry standard that provides workplace mobility. A DECT phone allows you to roam in the office while you talk. 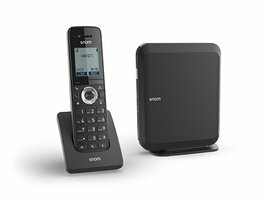 The Snom family of DECT products ensures that business users don’t sacrifice functionality and quality with increased mobility. DECT product users can move from their desks without losing the ability to manage incoming inquiries. Designed for use in small and medium-sized businesses to reduce cabling costs and allow rapid installation, or in front office and corporate environments to provide user mobility, Snom DECT solutions use a dedicated frequency band that is less congested than alternative wireless technologies. This allows for high quality audio with DECT's secure communication encryption. 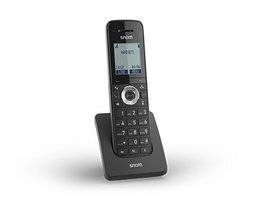 Setup is easy and intuitive thanks to the integrated installation mode on the Snom handsets. Our base stations make the Snom DECT solutions ideal for use across several floors or throughout large buildings. Snom DECT handsets provide options for professional indoor and outdoor use, including hard hat or industrial areas.